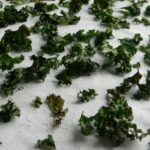 So who hasn’t tried kale chips yet? Seems like everyone is talking about kale these days and I think it’s on a lot of grocery lists too. I guess it’s like anything; once you’ve tried it and decided that you like it, it becomes a new inclusion in your repertoire. 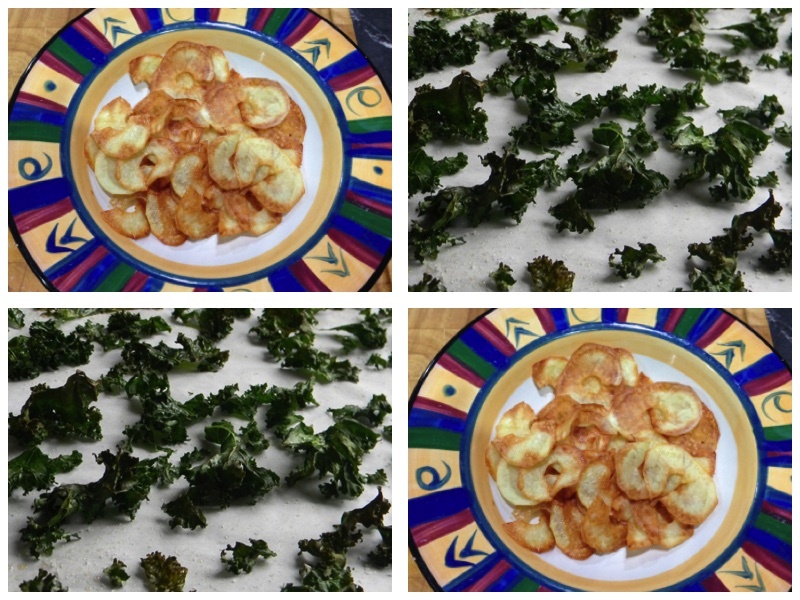 Roast vegetable chips are a delicious healthy alternative to regular potato chips/crisps and you’ll probably find that once you’ve tried them you’ll start thinking about other veggies that you can make into chips. Preheat your oven to 140 - 160℃ and line two baking trays with baking paper. Wash and thoroughly dry your kale. Tear the leaves into small pieces. Spread the leaves out in a single layer on the baking trays. Lightly spray with oil and massage into the leaves. Sprinkle with sea salt, pepper and other herbs/spices as desired. Bake for 10 - 20 minutes, until crunchy - the edges should be slightly brown, but be careful not to burn them. Note: If you’re keen to experiment with other veggies, make sure they are sliced thinly and evenly so that they cook and crisp up evenly. Using a food processor or mandolin is the quickest and easiest way to do this.